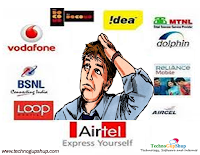 As we all know, India's cheapest smartphone booking has been started from 18th, Feb 2016 by 6:00 AM by ringing bell Pvt ltd. Unfortunately www.freedom251.com is down from 6:00 AM Morning. Many people are getting freedom251.com website not working and downtime while access from early morning. When you fillup the form information and click on paynow it shows the blank form again. Sometimes when you click on paynow it redirect to ccavenue payment gateway and shows error. It's happening due to heavy traffic or incomplete setup of website. Here is the tips and tricks to book freedom251 smartphone. First of all clear your browser cookies and cache of your browser and restart the browser. Now, you have first priority to open website in your browser in website downtime. 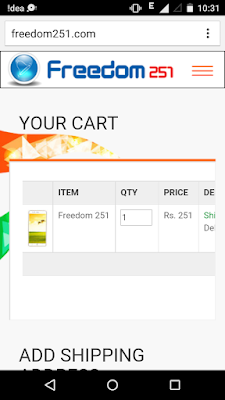 Any luck to book freedom251 then please write your review in comments. Please let us know whether is it helpful to you or not. Digital India...Cheers...! 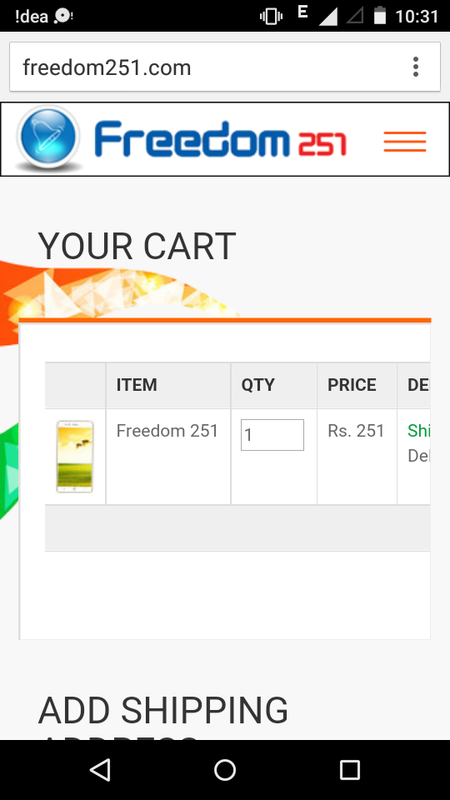 Book your freedom 251 smartphone now. We'll keep you updated. Keep Visiting...! after entering the Shipping Details when the payment page shows BLANK keep refreshing it even if it shows warning of resubmission, after multiple try Successful order page comes.. even if this page is blank Check the URL and copy the Order Number from the URl itself... starting with FDM... And you are done. If you found blank page after submit order then refresh page until get the thank you page with your order information. Found any issue in register freedom 251 smartphone then feel free to reply here. We're happy to help you.